Right about now, you'll be wondering what exactly are F1 Fast Version strains? Well, these strains used to be known in English as "earlys" and were 1st generation light-dependent, regular strains crossed with pure Ruderalis. They were first launched 25 years ago by one of the first seed banks though nobody paid them much attention and they went almost unnoticed owing to their poor quality particularly their low cannabinoid content and their inferior taste and smell. 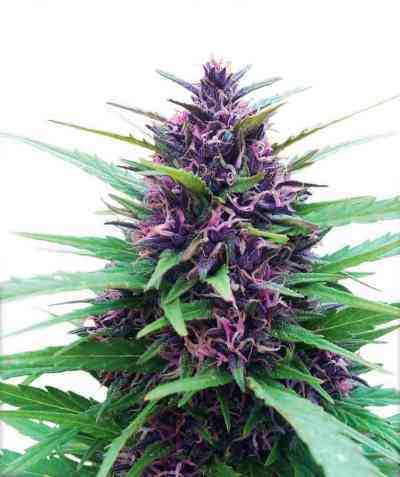 Delicious Seeds has given these strains a new lease of life by using today's automatics which have improved greatly over the last few years especially in terms of their organoleptic characteristics. These F1 Fast Version strains are the result of crossing an F4 automatic with either light-dependent feminised or regular (it makes no difference) strains from Delicious Seeds’ catalogue. This shortens the flowering time while strengthening and accelerating the vegetative growth stage with respect to normal strains, making these super fast plants that reach the end of their life cycle in just 8 weeks. Ideal for an indoor winter crop or during the normal season in zones where the autumn tends to arrive very early to avoid the bad weather that can ruin our harvests. 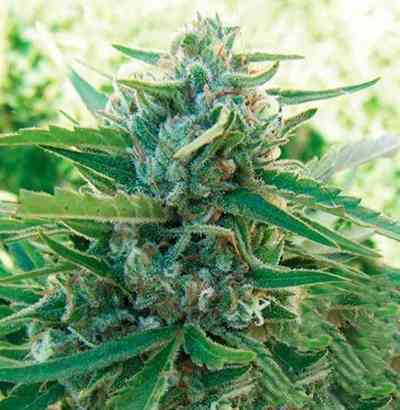 Sugar Black Rose is, without doubt, one of the tastiest Indicas of Delicious Seeds’ collection. It is the result of crossing Critical Mass with their highly-prized 1998 Black Domina mother. This variety is the best example of the Domina phenotype and the most highly valued by lovers of this strain. Indoors, this can be a short, compact plant though, if given sufficient space, it can also develop considerably with abundant lateral branches. Outdoors, in large pots or directly in the ground, it can get very tall and, above all, it can develop very large secondary branches, making it a wide, round plant. 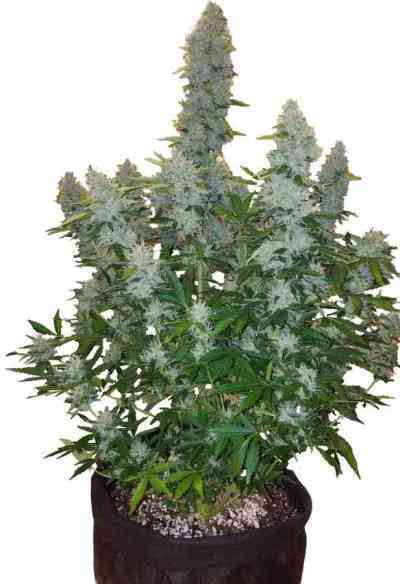 Because of this, this is a very discreet plant but also produces very good yields. The buds have a sweet, fruity fragrance like orange or other sweet citrus fruits. The taste is like mature grapes and flowers with a touch of skunk that is really interesting. When we exhale the smoke or vapour, we may detect an aftertaste that is slightly spicy yet sweet. The effect of Sugar Black Rose is instantaneous and very longlasting. Almost narcotic, it’ll soon put you in a deeply relaxed state. Very suitable for medicinal usage and for indica lovers in general as it also causes mild cerebral stimulation.